Things You Can Do at Camp That You Can’t Do at Home: Chapel Sessions! One of the things we care about most is the spiritual growth of the guests and campers who are here and preparing them to continue to further their relationship with Jesus Christ as they leave camp. 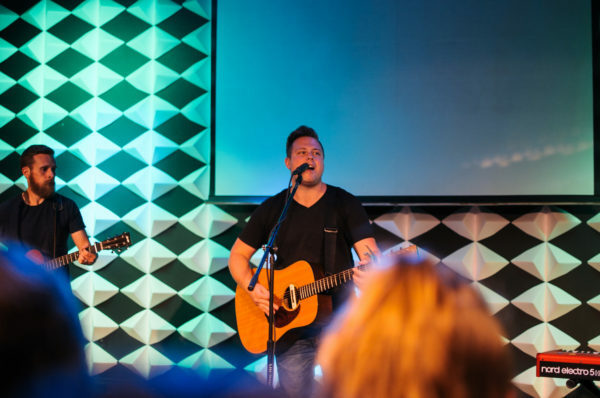 We love offering chapel sessions twice a day for campers that come to where they can worship with a band and hundreds of other kids their age as well as listen to a speaker challenge them in their faith. After each evening chapel session, the campers will go with their cabin and counselor to do cabin devotions. The counselors will lead these devotions and campers will be able to discuss what they learned in the chapel session and how they can apply it to their life. Each counselor will also have an hour one on one conversation with each camper. These discussions are put into place so that each counselor can help each camper grow closer to God personally. Counselors are trained to challenge students to read and apply God’s word and to spend time in prayer. Campers are given time for personal devotions after every morning chapel session. We want to train campers not just to hear God’s word, but also to read and study it for themselves. For more information on what summer camp looks like, or to register for camp this year, head to www.miraclecamp.com/summercamp!